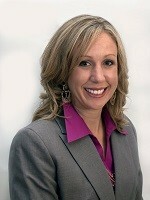 Dr. Lindsay Orris grew up in Iowa near Des Moines. She attended undergrad at University of Iowa where she earned her Bachelors of Science in Engineering in 2004. Dr. Orris earned her medical degree at Kirksville College of Osteopathic Medicine, Kirksville, Missouri in 2009, and completed her residency in internal medicine and fellowship in rheumatology at University of Iowa Hospitals and Clinics in Iowa City, Iowa. Dr. Orris is board certified in internal medicine and rheumatology, and currently practices at Rheumatology Associates in Bettendorf, Iowa. The Arthritis Foundation is honored to recognize Dr. Orris as this year’s medical honoree at the Jingle Bell Run Quad Cities on December 8 at Credit Island in Davenport, Iowa. Join Dr. Orris in the fight against arthritis, regsiter or donate today! Two weeks after Sawyer’s third birthday he began complaining that his legs were sleeping when he woke in the morning and after naptime. After nap one day his knee was extremely swollen. His mom called his pediatrician who couldn’t see him for a week. Terrified about what kind of injury he had, she took him straight to urgent care. The first week was a whirlwind of x-rays, MRI, bloodwork, orthopedic and pediatric orthopedic doctors, ER, respiratory syncytial virus (RSV) and a febrile seizure. Everything came at him at once. That was when they realized how super their Super Sawyer really was. They had always called him that and he even has a cape that says it. Through all of this, their three-year-old was tougher than most adults. He allowed the doctors to poke, prod and investigate. Eventually they received a referral to a pediatric rheumatologist. The appointment was in June, which felt like forever away. Looking the family realizes how fortunate they were to receive a diagnosis of polyarticular juvenile idiopathic arthritis in less than 3 months. There is a shortage of pediatric rheumatologists and people travel great distances to see a doctor. They feel fortunate to have had access to the wonderful rheumatology team at Children’s Hospital in Iowa City, which is just about an hour and a half away. 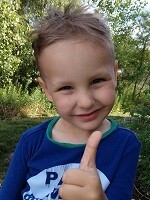 To learn more about Sawyer's journey please visit his Team page, Team Super Sawyer. To donate in support of Sawyer, please visit his fundarising page.